Acclaimed local chef Izu Ani looks to be opening a brand new restaurant – this time in City Walk. Although we don’t have much information on the opening for the moment, boarding has gone up in The Square (the licensed part of City Walk where you’ll find Lima) to advertise that a ‘concept by chef Izu Ani’ is coming soon. The new restaurant by the What’s On Award-winning chef will replace Galvin Bistrot & Bar, the European bistro by the Galvin Brothers, which closed its doors on March 31. 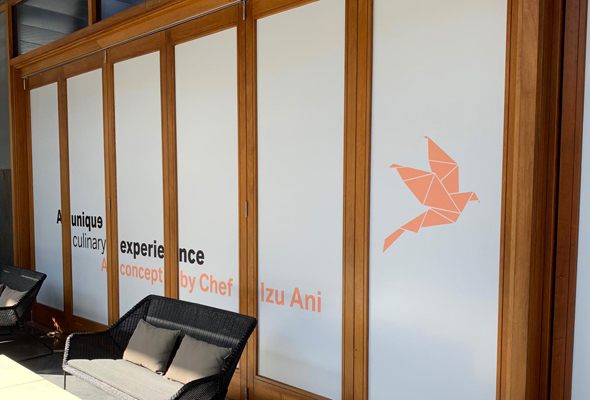 While we have little information on what the new concept will be, hoardings outside the restaurant feature a pair of chopsticks and what looks to be an oragami bird, so we think it’s likely to be an Asian restaurant that chef Izu turns his hand to next. 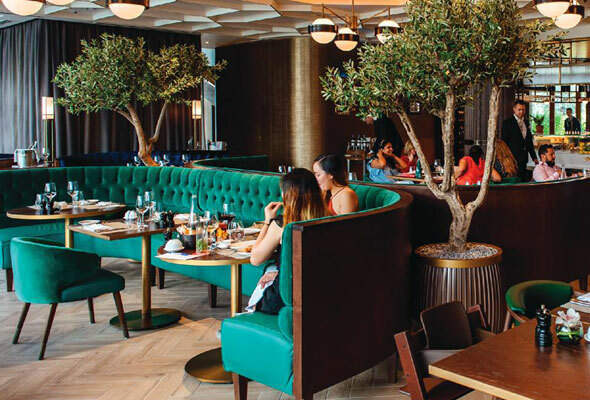 Chef Izu Ani is quickly taking over the city with his high-quality concepts which include carine, the European restaurant named after his wife and Gaia, the Greek restaurant in DIFC which has proved an instant success. It also won’t be chef Izu’s only concept in City Walk. Around the corner, there’s already an Izu Bakery inside Le BHV Marais, which produces fresh bread and pastries both to-go and for dine in. It’s found alongside another casual eatery from chef Izu, Izu Brasserie. There’s plenty happening around City Walk at the moment, with the impending opening of Dubai Arena also set for the coming few months. The 17,000 square-foot venue will become the largest all-purpose, air-conditioned indoor arena in the Middle East when it opens for its first event on June 6, when comedian Russell Peters will take to the stage for the first time.